It is confirmed that Home Sharing for Music has been removed from iOS 8.4, which will upset most users. 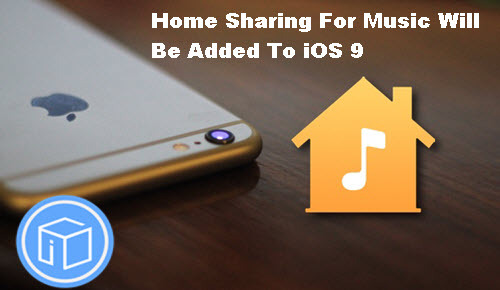 It is still unclear whether Home Sharing for Music will be added, but according to MacRumors, Apple plans and works to add Home Sharing for Music in iOS 9. Wording in the release notes for the last iOS 8.4 beta suggested that Home Sharing and Genius Mixes were “not currently available,” hinting that the features could return at a later date, and it appears that is indeed Apple’s plan. While Home Sharing for music has been removed in iOS 8.4, the feature is still available for video. Home Sharing for music also remains available on the Mac and the Apple TV. It is unclear when Home Sharing for music will be introduced in iOS 9, but the next beta is expected later this week. This entry was posted in iOS 9 and tagged add home sharing for music in ios 9, home sharing for music, ios 9 new features by IosdroneD. Bookmark the permalink.